Hummus is one of my favourite foods. This is a version with roasted onions to add to that savoury flavour. Gently roast the onions in the oven. Let cool off and peel the onions. I just quester them with the peel still on. And roast until tender. 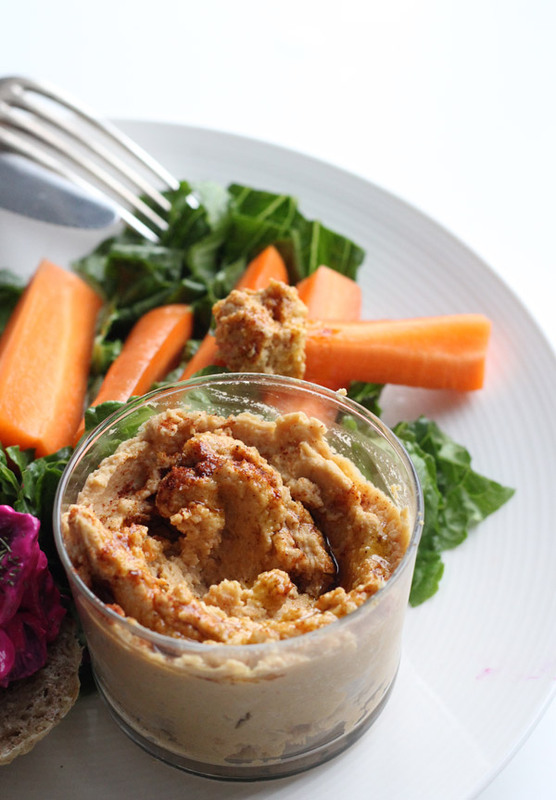 Mix chickpeas, tahini and onion cloves in a food processor. Taste the hummus and add more salt if preferred.